There’s no denying that the tabby cat is quintessential to the felis domesticus lineup. Where in the world would we be without our swirled, spotted, and striped kitties? 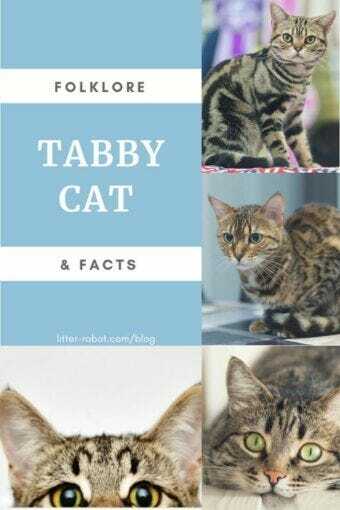 Let’s take a look at some of the interesting facts and the millennia of folklore surrounding the tabby cat. Some of you may be surprised to learn that the term “tabby” does not refer to a type of breed. Instead, “tabby” encompasses all cats that share the agouti gene, which results in one of four distinct coat patterns. The tabby pattern is so ubiquitous, however, that it can be found in a number of recognized cat breeds today. Tabbies also come in many different colors, the most common of which include orange (or ginger), grey, brown, and white or cream. 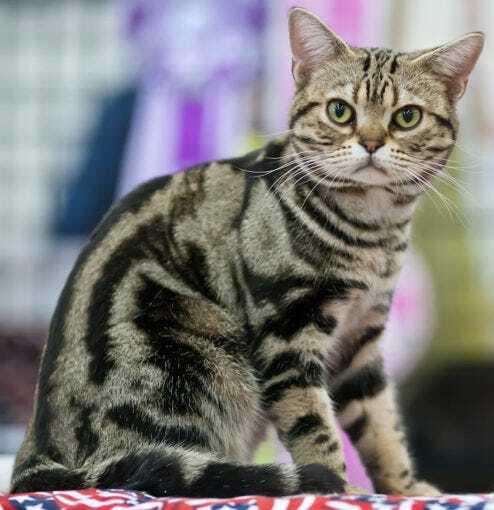 Striped, a.k.a.“mackerel,” is the most common tabby pattern. Narrow stripes run parallel on the cat’s body coat, sometimes gently curving, other times breaking up into bars and spots. Sometimes referred to as “tiger” cats, mackerel tabbies also feature an “M” shape on the center of the forehead. The classic tabby pattern is swirled, blotched, or marbled, giving the cat a tie-dyed or bullseye look. Like the mackerel tabby, the classic tabby has dark bars on the legs, tail, and cheeks, along with the telltale “M” shape on the forehead. The ticked tabby is stripeless. Instead, the coat features agouti hairs, or individual hairs that are striped with alternating light and dark bands, that give the cat a “salt-and-pepper” or “sand” appearance. 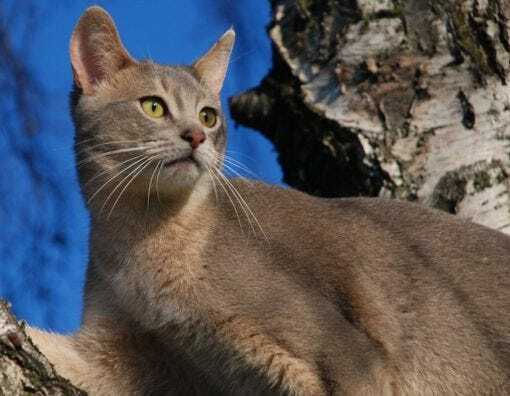 The ticked pattern is primarily displayed on Abyssinian cats. 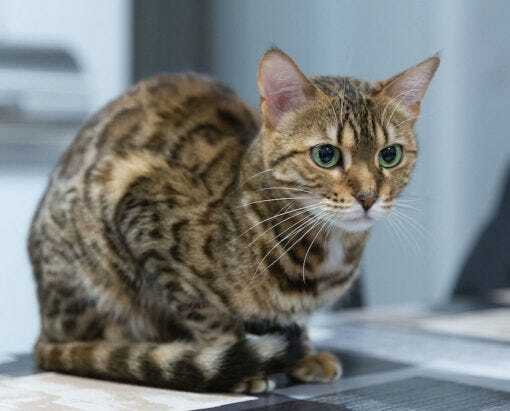 The spotted tabby features a mackerel or classic pattern where the stripes are broken up into random spots all over the back and flanks. These spots can be large or small, and are almost always darker than the background fur. What do you get when you cross a tabby and tortie cat, or a tabby and calico? A “torbie” and a “caliby,” respectively. The patched tabby typically features patches of brown and orange tabby patterns, with markings often more apparent on the legs and head. One of the most distinctive aspects of the tabby cat is the “M” shape on the forehead. A curious amount of folklore exists around this particular feature, stretching back thousands of years. 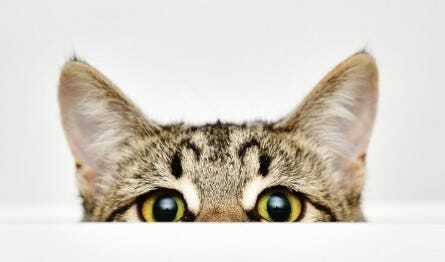 Ancient Egyptians called cats “Mau” (sounds suspiciously like “meow,” does it not?). These ancients believed the “M” was a reference to Mau, or that the mark represented the sacred scarab beetle. There are a few variations of a Christian legend involving a tabby cat, the baby Jesus, and the Virgin Mary. One says that when the baby Jesus wouldn’t stop crying in his manger, a tabby cat climbed inside and started to purr, giving him warmth and comfort so that he could sleep; in thanks, Mary marked the tabby’s forehead with the first letter of her name. Another tells the story of Mary once again marking a tabby in this way, except it was because the cat killed a venomous snake that had been sent to bite the baby Jesus. Still others say Mary was not involved at all—that the tabby is simply blessed for comforting a child in need. One tale involving the prophet Muhammad speaks of a tabby cat that fell asleep on the prophet’s sleeve. Rather than disturb the sleeping feline, he cut off his sleeve when he went to pray. The cat later warned him of danger, so Muhammad blessed him in thanks, thus marking the tabbies with an “M”. Legend also claims that Muhammad gave cats the ability to always land on their feet. Even today, cats are generally protected and respected in the Islamic world, and are even permitted inside mosques. Finally, others suggest that the “M” is a set of frown lines—the result of a cat staring at a mousehole in concentration, waiting for a mouse to emerge. Whatever the case, we love this striking yet adorable tabby cat feature! Can’t get enough of tabby cats? Check out our blog post on orange tabby cat facts.